“We/Us/Our” means Ringtone.net Ltd, a limited company registered in England under company number 4225273, whose registered address is Little Acre, Pound Lane, Hardwicke, Gloucester. GL2 4RJ and whose main trading address is the same. Our Site is owned and operated by Ringtone.net Ltd, a limited company registered in England under company number 4225273, whose registered address is Little Acre, Pound Lane, Hardwicke, and whose main trading address is the same. Our Data Protection Officer is Andy Clarke, and can be contacted by using the “contact us” form, by telephone on 01452 348193, or by post at our registered address. We are regulated by the CAA. We are a member of RPASUK, Drone Safe Register, British Computer Society. 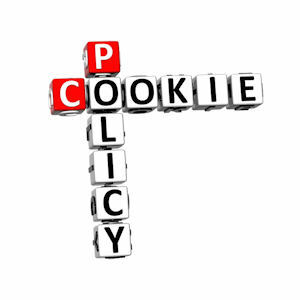 Third Party Cookies: Third party Cookies are not placed by Us; instead, they are placed by third parties (such as YouTube) that provide services to Us and/or to you. Third party Cookies may be used by advertising services to serve up tailored advertising to you on Our Site, or by third parties providing analytics services to Us (these Cookies will work in the same way as analytics Cookies described above). Cookies on Our Site are not permanent and will expire after 180 days. Our Site uses analytics services provided by Google. Website analytics refers to a set of tools used to collect and analyse anonymous usage information, enabling Us to better understand how Our Site is used. This, in turn, enables Us to improve Our Site and the services offered through it. You do not have to allow Us to use these Cookies, however whilst Our use of them does not pose any risk to your privacy or your safe use of Our Site, it does Us to continually improve Our Site, making it a better and more useful experience for you.